partnerships with the industry representatives, in New Delhi. 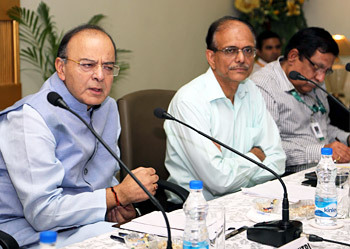 On May 20, the Defence Acquisition Council (DAC) chaired by Defence Minister Arun Jaitley finalized the broad contours of the Strategic Partnership (SP) policy. The Defence Procurement Procedure (DPP) 2016 had been issued in February 2016 with the chapter on 'strategic partnership' left blank. The DAC's action of May 20, 2017 was more than overdue as the Armed Forces face significant shortages of critical defence equipment, including fighter aircraft, submarines and helicopters that our defence public sector undertakings (DPSUs) have been unable to address; once again publicly stressed by the Parliamentary Standing Committee on Defence in March 2017. Seen as a major initiative, the strategic partnership model aims to create a vibrant defence manufacturing ecosystem in the country through involvement of major indigenous corporate and the MSME sector. The policy is now to be examined by the Finance Ministry and thereafter taken up for approval by the Cabinet Committee on Security (CCS). Under the proposed policy, four segments will be opened under 'Make in India' for private sector manufacturing companies: single engine fighter aircraft; helicopters; submarines; and main battle tank (MBT) / armoured fighting vehicles (AFV). According to the MoD, the policy envisages establishment of long-term strategic partnerships with Indian defence majors through a transparent and competitive process wherein they would tie up with global Original Equipment Manufacturers (OEMs) to seek transfer of technology (ToT) to set up domestic manufacturing infrastructure and supply chains. The SP model has come about based on the MoD-appointed Dhirendra Singh Committee report of July 2015, followed by a task force led by Dr V K Aatre to work out detailed criteria for selection of strategic partners, and subsequent discussions with stake holders. The Task Force had recommended aircraft, helicopters, submarines, armoured vehicles including tanks and ammunition to be done in the initial phase. The process of short listing of OEMs is likely to be done simultaneously with the process of identifying potential SPs. Under the model, only one SP will be selected per segment, however, addition of more segments or further sub-division of the identified segments may be considered by MoD as deemed necessary. 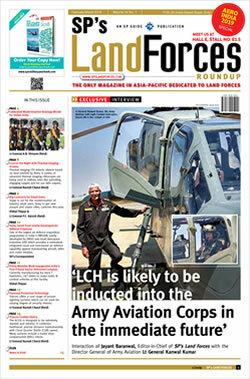 The single engine fighter aircraft and helicopters segment will be open only to the private sector at the moment, for submarines and AFV/MBT, the DPSUs and OFB respectively will also be eligible for competition in the selection process for SPs, latter obviously with pressure from the DPSUs and OFB even as DPSU employees are up in arms fearing privatization. SP will require tie-up with foreign OEM, to cover manufacturing, ToT, assistance in training skilled human resources and other support; joint ventures, equity partnership, technology-sharing, royalty or any other mutually acceptable arrangement between the companies concerned subject to the ownership conditions laid down by MoD. The move is being hailed as "path breaking" but the fact is that there was no alternative but to go for greater defence-manufacture share to private sector – in vogue globally that India refused to follow all these years. We also have this penchant of going ballistic before any policy or scheme actually fructifies, one example being the 'Make' procedure adopted in 2006 to promote development of systems based on indigenous research and design for providing the framework for increased participation of Indian industry in the defence sector but not a single design and development contract been signed over past 11 years. The recommended SP model presently provides just 'broad contours' and how much time CCS approval after scrutiny by the Finance Ministry will take is not known. But more importantly there are challenges that have to be met, like: formulation of the staff qualitative requirement (SQR) and freezing the SQR in the detailed design stage; carefully weighing complaints based on industry competition that delay procurement; avoiding OEM driven SQR, as well as compromising operational requirement; managing inter-OEM and inter-SP competition; whether one-partner-one-project policy will apply to DPSUs and Ordnance Factories, and how will it impact DPSUs like defence shipyards; mechanism for price discovery for maintenance contracts over the life time of the platform and for upgrade projects within monopoly of the SP; question of Intellectual Property Rights (IPR) linked to ToT by foreign OEMs; 'legal covenant' with a SP lasting full life of a platform and its subsequent upgrade, which may spread over several decades. Additionally, the process of selecting the platform would have to follow the same procedure as laid down in DPP 2016, involving laborious processes, lengthy trials etc. Going by corruption scandals of yesteryears, politicians and bureaucrats would delay processes ducking against possible charges, while companies not selected as SPs will, for certain, provide political ammunition for the opposition. Hence, it is doubtful whether this SP model will lead to hastening of the procurement process. The contours defined anyway are too broad to form an opinion on the workability of the SP model. There is yet another viewpoint that since enabling provision for letting OEMs decide the IPA already exists in DPP 2016, a simpler method would have been that after selecting the platform to be inducted (same process under SP model) MoD permits selected foreign OEM to tie up with Indian company of its choice – avoiding the whole rigmarole of working out the SP model. However, the bottom-line is that while the 'path breaking' pudding may have arrived, the proof will be in its eating and we very long distances to cover. Finally, while four segments of big-ticket projects involving big money are proposed in the "initial phase", government should have simultaneously proposed projects to provide foot soldiers with better fire-power, night and day fighting capability, protection, survivability and mobility – where the hybrid war is being fought every daily.